Activists believe that the worse the occupier – the better Ukraine. Guide LDNR could not stop supply of coal to Kiev-controlled territory of Ukraine, as their a month ago was blocked by community activists. Statement by Alexander Zakharchenko and Igor Plotnitsky speaks to their panic. This is stated in the statement of the headquarters of the trade blockade of Donbass, published in Facebook. “First, to stop supplying coal to the occupiers can’t, because it stopped volunteers and activists. Second, when officials will carry something like “the controlled enterprise in uncontrolled territory”, it is necessary to remind them of “nationalization” in the style of Carpenter-Zakharchenko,” – said in a statement. “The panic of the occupation “government” is the best proof that the blockade painfully beats on pockets of invaders. 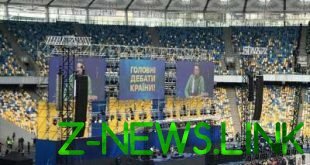 The worse the occupier – the better for Ukraine”, – noted in the headquarters of the blockade.